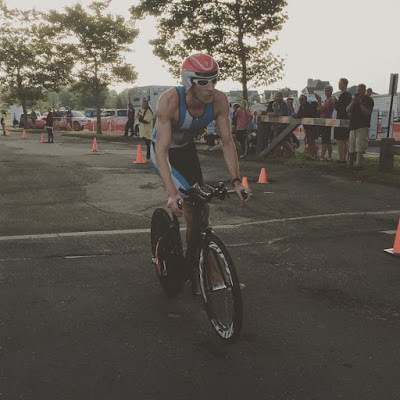 Even though I race as a Professional Triathlete and have coached for 9 years, it is not hard to remember the mistakes I made when I was first starting out as a triathlete. I came from a wrestling background where the mentality was that very hard, all-out work paid off. I treated those first triathlon workouts as if I were on the wrestling mat. I attacked the water and road, pushing as hard as I could for as long as I could. I only kept up that intensity for a few weeks before my body started to break down. Eventually, I got injured. 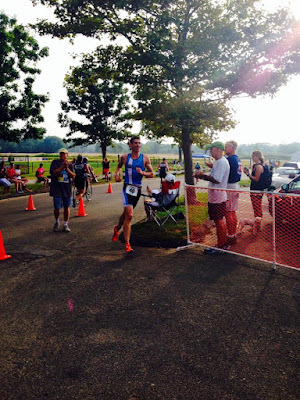 At that point, I started to look into basic triathlon training principles and eventually hired a coach. In hindsight, my mistakes are very clear. Here are four mistakes that I made which you can avoid. The first mistake I made was that I went too hard, too soon. While training for a sprint distance triathlon, I would go out for a 3 mile run or 750 meter swim and do it all at race pace. This tired me out and inevitably left me with a calf injury because I overloaded my body too quickly. As an experienced athlete and coach, I have come to understand that we must build the body up slowly and steadily to get the best results on race day. This usually means beginning with very easy and short aerobic work (think 20-40 minute runs, 45 minutes swims and bikes) at a perceived effort of 5 out of 10. After the body settles into the program and gets stronger, I use the 10% rule to add mileage or intensity. 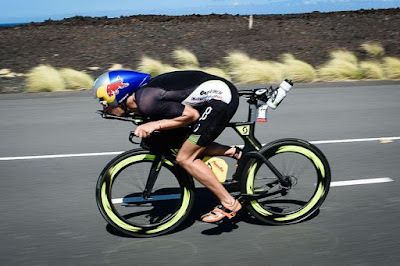 It is important to remember that no one workout makes you a better triathlete, it is the cumulative load that builds over time and supports great performances. My advice is to build slowly and conservatively. 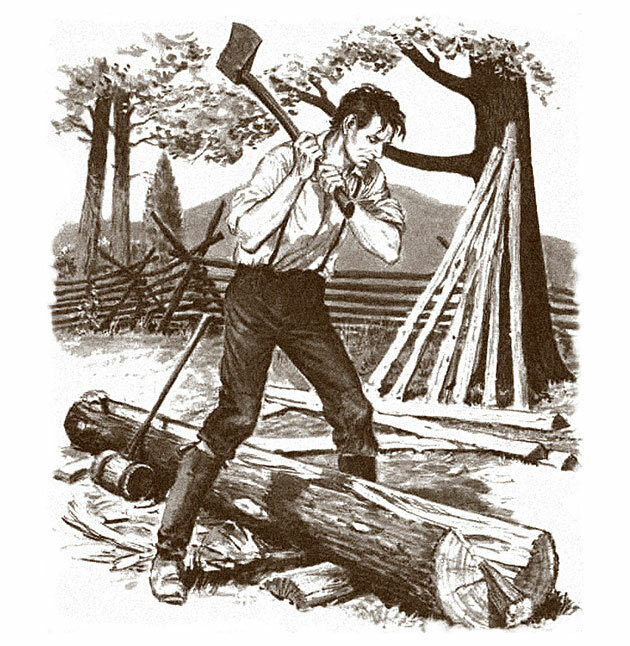 You can always do more at a later time, but if you do too much too soon, you are going to find yourself burnt out and injured. A second mistake I made early on had to do with my expectations. I expected to see better results during every workout. So, if I ran an 8 minute mile pace for 3 miles on Monday, I expected to run 7:55 pace for my next 3 mile run on Wednesday. I thought that I would just continue to improve if I stuck to this type of training. I kept building and building until my body broke. As an experienced athlete and coach, I have come to understand that the body doesn’t work in this way. If we keep forcing PR’s during every workout, we will overload our muscle tissue and bone structure too quickly, which often leads to injury. It is also possible to compromise the immune system which can lead to sickness. I learned that to train effectively, we need to look at the body from a biological standpoint. 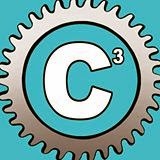 We don’t need to get overly complicated, but athletes need to understand that the body has three main energy systems (phosphocreatine system, the aerobic system, and the anaerobic system). We can use this knowledge to target each system at the right times to produce great results. In endurance sports, we need a strong aerobic system in order to build the foundation by which fast racing is supported. This means that we need to spend a lot of time doing long slow distance miles to get the physical adaptions (increased mitochondria, increased oxygen affinity for example) that allow us to go long and fast on race day. My advice is to treat workouts as the building blocks for race day success. Expect most of your training to feel and be mediocre compared to your workout PR’s. If a PR comes, enjoy it, but don’t force it. Trust in the process and you will continue to get better in the long term. A year or two after I got into triathlon, I started to use a HR monitor. I then focused all my attention on aerobic training. If I was riding my bike, I averaged 154. If I ran, I averaged 164. I didn’t do any speed work on the track and I didn’t do very much recovery work either. I did this for about 2 years straight. This style of training helped me develop a very powerful aerobic engine, but it did not maximize my ability to perform on race day. As an experienced athlete and coach, I now understand the power of variation. Once I began to change my effort and speed and worked on developing my neuromuscular ability and anaerobic engine, I saw huge improvements in performance. Experienced athletes know how important it is to work all systems all of the time. They may spend more time on one system during particular periods, like a lot of aerobic training in the “base” period, but these athletes will still do short pick-ups, tempo runs, and hill workouts that enhance the bodies’ ability to perform on race day. You can always add different drills or do variations of these drills. I usually do these for roughly 5 minutes depending on how my body feels, what type of work I'm preparing for, or what type of work I'm recovering from. Looking for an endurance coach for next season? Don't hesitate to reach out to me at jonfecik@gmail.com. 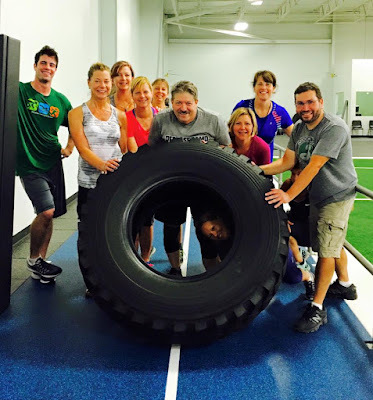 If you are looking for a different type of coach for strength training, crossfit, obstacle courses, mental skills, etc, check out CompleteHumanPerformance.com. The offseason is a great time to reflect on the things that went well and not so well over the course of the season. As you do, it is natural to find yourself focusing on your results such as your 5k sprint-distance run time or your half-IRONMAN bike speed. When you focus on results, you tend to set fitness-related goals. While fitness goals should be on the front of your mind at the start of a new season, remember that triathlon requires you to be more than just fit. Triathlon requires you to master physical skills such as handling your bike around a tough course or nailing your transition. It requires you to master mental skills like executing a race plan under pressure or continuing along the run course despite a nagging cramp. In addition, triathlon requires you to master general life skills like modifying your schedule, planning ahead and getting organized. Because these general skills are not easily measured, we often forget to reflect on how we did in these areas and set new goals to become better in the season to come. If you reflect on and set goals in this area, you will reduce stress and indirectly improve your ability to perform on race day. Here are three specific examples of how the athletes I coach struggle with these general skills on a regular basis and some questions to help you reflect on your own struggles and set new goals. Meal planning is one specific area that challenges the athletes I coach when it comes to the general skill of planning ahead. When life gets busy, we tend not to plan. This leads us to; (1) make decisions about what to eat every day and what we need to prepare that food (as opposed to making all the decisions at one time in the beginning of the week), which contributes to decision fatigue and decision paralysis; (2) eat out, which can be expensive and unhealthy; (3) go to the grocery store for only one meal at a time, which wastes time; (4) eat the same thing each week, which does not always provide the variety of foods we need to remain healthy; (5) and, tempts us to buy unhealthy fast food alternatives like freezer meals at the grocery store, which do not fuel our workouts as well as homemade food. A solution could be to sit down for 20 minutes at the beginning of the week to plan your menu. Be sure to include one or two easy recipes in the case that you find yourself in a time crunch. Type up your menu, the recipes and a grocery list organized by food category (vegetables, meat, cheese, etc). Save the list to your computer. As this becomes a part of your routine in the offseason, you will build up a stock of weekly menus of meals that you like. When your schedule gets crazy during the season, you will not have to create a new list every week. You can look back to your saved menus, print out your grocery list, and head to the store right away. Those who master the skill of planning ahead save time and energy, like that which goes into creating new menus each week. Reflect back on the times you did not plan ahead this year. What will you do differently in the coming season to be more proactive in your planning? Many of the athletes I work with struggle to modify their training plan when it comes to the general skill of modifying the plan. I also see this with non-coached triathletes who follow a general stock training plan. When athletes first start out, they talk with their coach or find a solid plan that fits their life schedule well. As the season progresses, however, an inevitable family or work commitment comes up and consistently prevents them from getting in, say, a Monday night swim. The athletes continue to try to make the swim work on Mondays, but, more often than not, they miss that session. This stresses them out. Obviously, there is a simple solution: Modify the plan. 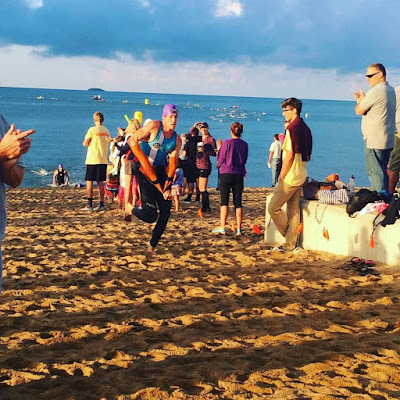 Swap the Monday swim with the day off, attempt to find a different time to swim on Monday, or place the swim before a bike or run on a different day. There are typically two reasons why athletes do not modify the training plan. First, athletes are so busy that they are unaware of consistently missing their swim. A solution for this scenario might be to log the workouts on TrainingPeaks and reflect back once a month to decide if the current training plan aligns with their life schedule. From there, the athletes can make changes. Second, athletes realize that they constantly miss the swim, but are not confident in modifying the plan. For most age-group athletes who are training at a low volume (8 hours or less), it is OK to move the workout so you can get it in. If you need to double up workouts and have never done this before, ease into that second workout and cut it short if you are not feeling good. See how the adjustment in the plan feels on the body after a week or two and reassess. Those who master the life skill of modifying the plan and find creative scheduling solutions will train more consistently and perform better on race day. Reflect back on the times you did and did not modify your plan this year. Was there a time where modifying your plan may have helped you reap better results? What will you do in the coming season to ensure that you modify your plan when necessary? Many of the athletes I work with struggle when it comes to organizing their stuff, particularly when it comes to organizing their triathlon gear. We waste time running around before a workout looking for our misplaced HR monitor, water bottles, helmet, socks, etc., because our gear is not organized in one place or did not make it back to its rightful place. As we get more fatigued from training, this problem tends to get worse. Spend some time in the offseason creating bins so all your gear has its place. Commit to returning your gear to its place immediately after the workout. Send yourself a weekly email reminder to organize your gear if it is out of order. If you get into the habit of doing this in the offseason, you will be more likely to keep your stuff organized during the season. Those who can master the skill of organization will limit their stress, decrease the time it takes to prepare for a workout and increase the time they have to work out. Reflect back on the time you were disorganized this year. How did it effect you emotionally? What will you do to be more organized next season? As I said, triathlon is not all about fitness. There are a lot of skills that go into a great performance and some of these, like planning ahead, modifying the plan and getting organized are very general life skills. Take some time to reflect and set goals to improve in each of these areas. If you do, you will set yourself up for your best performance on race day. Jon Fecik races as a professional triathlete, is a USA Triathlon Level I Certified Coach and owns Power On Coaching. He guides a vast spectrum of age-groupers, from those who finished their first sprint triathlon to those who qualified for and competed at Nationals, Worlds, 70.3 Worlds and the IRONMAN World Championship. Follow Jon on Facebook, Twitter and Instagram. Read more of his work and find out about his coaching services at jonfecik.com. 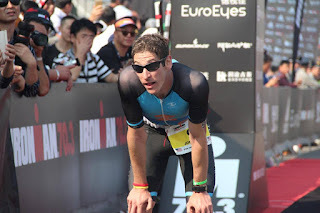 Racing at 70.3 Hefei in China was one of the coolest experiences of my life and I want to take some time to share a little of my journey with you. First off, I chose to race in China this year because I wanted to have a different experience. At points in your triathlon career, you want something a little different to help put that extra fire in your belly, something that makes you want to train and race harder. Having the opportunity to race in Asia, promote triathlon in a new place, and promote triathlon in a new culture definitely provided me with this extra motivation. I put up some of my best numbers on the swim and the bike as I trained for this race. This particular race was in mid-eastern China (see Hefei on the map below). Amber and I flew out of New York, up Canada, over the North Pole, down Russia, all the way down to Guangzhou in Southern China and back up to Hefei. Total travel time was about 24 hours. Luckily, Amber and I were tired when we got on the plane. I slept about 12-13 hours total, so the first of two flights only seemed to take about an hour. We had a three hour layover in Guangzhou which was ok since the airport was huge. It was so big that we had to take a shuttle for 20 minutes on the tarmac before we could get on the second plane. One thing that stood out was that the Chinese were very eager to get where they were going. Even though we had assigned seats, everyone was very pushy as they got on the plane. I do not believe that anyone meant to be rude, I think this is just part of Chinese culture. Amber and I are a little easier going, so we allowed some people to pass ahead of us. Once in Hefei, we felt very welcomed into the country. In fact, every other billboard out of the airport (there were about 60 billboards on the way out) had Ironman advertised on it. It felt a little overboard, but it’s much better to feel welcome than not welcome at all. The airport was roughly 50 minutes from our hotel which gave us a good look at the surroundings. Near the airport, there were mostly fields and a few shacks. As we got closer to the city, however, brand new apartment buildings began to appear. At first it was just two clusters of roughly 10 brand new apartment buildings each. We didn’t think much of it until we kept going and there was another and another. The buildings were all built within the last year and it was clear that no one lived in them. Because of the fog, it felt kind of eerie, like a pop-up city. We learned later that the Chinese like new places and that all these buildings were going to be filled up within a year. It’s hard to believe. I will have to take their word for it. As we pulled up to the hotel, we could see that it was brand new as well. It had opened only one month before. It was huge and elegant. You could tell that someone spent a lot of time on each and every detail. Despite the language barrier, everyone was very nice and accommodating. The concierge would hook us up with plenty of free water bottles, the front desk was very attentive, and the Ironman staff helped us out with any other information we needed regarding the race. The one thing that I was most worried about before I left was the Chinese food and water. I did not want to get sick before the race. In Hefei, it did not turn out to be a concern. There was plenty of bottled water available for purchase and the hotel had good quality food. We ate at the hotel morning buffet breakfast which was an absolute feast. They had french toast, danishes, eggs, rice, noodles, very crispy-delicious bacon and fruit. For dinner we hopped around, but mostly ate at the hotels evening buffets. At first, it was hard to get used to how they leave the heads on duck, chicken, shrimp, and fish, but we eventually got over it. We did have a few language barrier issues. One was when Amber and I went out for lunch at a sushi restaurant. The seating was positioned around the sushi chef. He would put fresh sushi on a revolving conveyor belt and you could take it off if you wanted to eat it. Although we didn’t ask for one, the chef made us a special avocado and spicy tuna roll. I wanted another one, but the chef didn’t understand when I asked. He got the store manager, a waiter, and another waiter involved. It took 20 minutes and a phone voice translator to get my second roll. Everyone laughed about it. Another issue came up when we went to lunch a different restaurant. Amber wanted to order some coffee with milk in it. The waiter did not understand the “with milk” so I made the universal sign of milking a cow (you know, squeezing utters in mid air…). The waiter thought she understood and brought Amber out a glass of milk. Amber and I took a sip and were immediately sure that it was not cow’s milk. On the bright side, the milk came with a straw shaped like a heart. Another language barrier issue, that was more of just a thing we noticed, were these signs set around the lake outside our hotel….Amber and I weren’t sure what to make of the English translations. As for the race, it was one of the best organized, most attended Ironman sanctioned events that I’ve ever raced. It was a closed course, point-to-point race which started about 11 miles from our hotel. The race began in a highly populated part of the city where people actually lived and worked. It reminded me of New York City a little bit with the beautiful sky scrapers. One of the things that Ironman was a little bit nervous about was the crowd, car, and moped control. In this part of China, the cars and mopeds seem to follow guidelines of the road, but those guidelines are not hard and fast rules. It was not uncommon for cars to go through stop lights or drive down the wrong side of the road. To prevent anything bad from happening, Wanda- the guy who owns WTC- provided 15,000 security guards who lined up about 10 meters apart over the entire 70.3 mile course. That was a bit overkill, even extravagant, but very cool at the same time! The conditions were decent. The water was a little green, the air quality was foggy, and the temperature was about 68-73 through the entire race. I can’t say that any one of these things negatively impacted my performance on race day. The one thing that stood out, though, was the road surface. Those brand new glassy roads made the race very enjoyable. On top of that, we got all 4 lanes of road to ourselves! This really made the race stand out compared to other US races. Closed courses with wide smooth roads made this racing experience that much more exceptional. 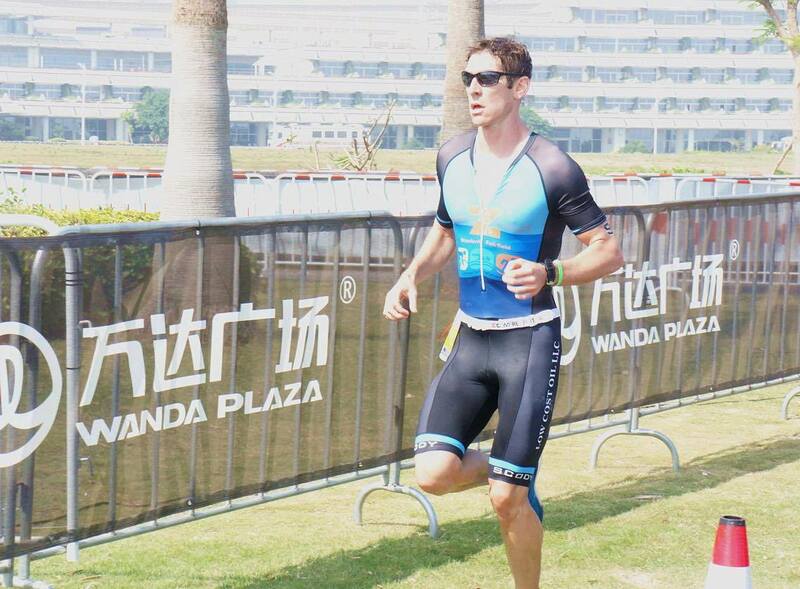 A small aside.... One major difference between racing in the US and racing in China are the Porta Potties. In the US, there is a seat. In China, there is just a hole and a handle hold. Frankly, I was a little nervous about this experience, but it was actually not that bad. One Pro actually came out and described the experience as "life changing." I'll leave it up to you to interpret that one. As far as my race performance went, it was similar to most of the other races that I’ve done. The only thing that was a little different was the lower number of pro's. I’m use to racing with 40-60 pro’s which makes for a very tactical race. There were 15-20 pro’s racing which lead me, and everyone else, to race their own race. I enjoy both styles, but it was nice to change it up. With swimmers like Olympians Stewart Hayes and Brad Kahlefeldt in the front group, I knew that I would be swimming primarily on my own or with only one or two guys around me. I ended up swimming quite a bit with Brad Williams (that is, when he decided to swim straight). 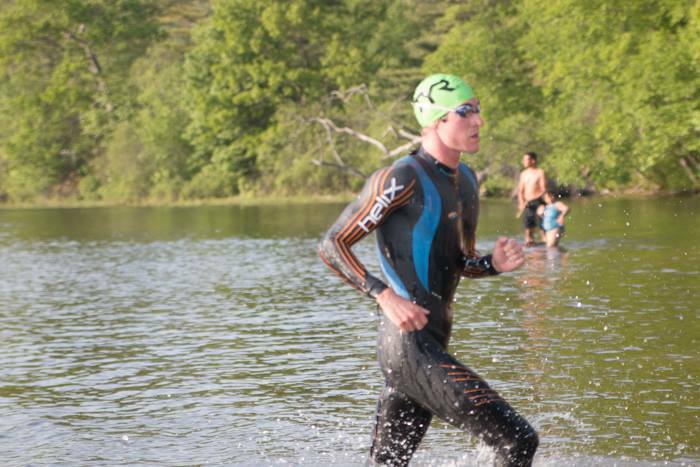 He came out of the water just ahead of me and we both were about 3 minutes behind the front group. This swim performance was pretty consistent or a little better than usual for me. The transitions were set up like a full distance event where you had to get your transition bag. If there was one thing that was not quite right during this race, it was that the male pro bags were set up right in front of the women's change tent. This would be fine if there was not a fountain between the basgs and the men's change tent. We either had to backtrack or jump over a fountain. I ended up jumping over the fountain and falling off the other side, on top of my helmet. Both my helmet and I survived and it only cost me a second or two. I heard that other male Pr's actually went into the women's change tend by accident. Good thing we were the first one's off! The bike was pretty consistent with my results from this year. I really enjoyed riding fast on the wide open road with all the security guards lining my way and fireworks going off at the half way mark. I road conservatively and evenly with a VI of 1.04. I caught 1 or two guys including AJ Baucco who was having a rough day. AJ and I worked together for about 5-10 minutes, but he ran out of gas and I chose to keep on going. I ended up riding down Chinese Pro Hao Miao in the final three miles and ran into T2 just ahead of him. Out of T2, Miao floored it and I took it more conservatively. My run was a bit of a question mark going into this race. I had a knee/IT band injury that popped up right after Timberman 70.3 in August and I ended up taking two weeks off of running. After that, I had a rocky build up with low mileage and low intensity. Luckily, my knee had not bothered me since I got off the plane in Hefei. Despite being more conservative than Miao, I ended up running a little too fast at the beginning and slowed a bit in the final 4-5 miles. That said, I kept moving strong, reminded myself that I wanted to come to China to perform well, and never gave up. I ended up with my best run so far this year. The finish line was outstanding. It definitely rivaled Kona and 70.3 worlds. 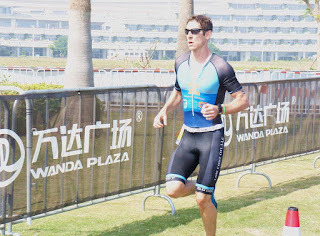 I’m not sure if the Chinese were excited that I was a pro, that I am a tall Caucasian, or simply that this was the first time these people saw a triathlon, but the crowd went wild as I went down the finish shoot. It is always an amazing experience crossing the line at an Ironman event, but this one felt special because of how hard I worked for it. I ended the race with my race best time for this season. Everyone seemed to want a picture or selfie with an American post race. There were literally 40 Chinese people who lined up. I’m not going to lie, the attention felt really good. Ted Breault, qualified for 70.3 Worlds! 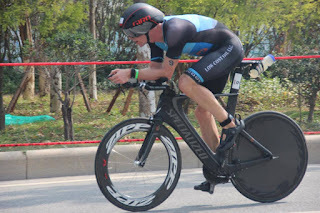 One of the Power On athlete's I've coached for a long time, Ted Breault, traveled over to Hefei as well. He came within seconds of his PR time and ended up qualifying for 70.3 Worlds. It was great to see him finish up his race. Overall, my experience at Hefei was very good and I’m looking forward to going back to China on November 5th to race Xiamen 70.3. I expect that the experience will be different since the city of Xiamen is in Southern China and seems to be more established. As always, special thanks to Jon Fecik Racing sponsors Zane's Cycles, Southern CT Muscle and Joint Chrio, Low Cost Oil LLC, CT Cycle Center, and Diabetes Training Camp! Use these great organizations that help support me and so many other things in our community! Regrettably, I am unable to attend the Madison Sprint Triathlon this year due to the wedding of a good friend. All your physical fitness training is done, but I wanted to offer up three things that helped me win last year and three things you can use to get the most out of yourself. After you warm up in the water (you better warm up in the water!!!) stop for a second. Watch something stable on land and notice if you feel yourself drifting one way or the other. Visualize the race quickly and take note of where you think you might be affected by that current. Then, take the current into account when you are swimming during the race. You may need to aim slightly left or slightly right of a buoy so that you swim a straight line. Last year, a competitor in front of me didn’t notice the current (and didn’t sight enough). He ended up swimming wide of the second buoy. I noticed and quickly took advantage of the situation by correcting my direction. I ended up swimming straight while he swam a lot longer course. I came out of the water ahead of him. It pays off to pay attention! Body position is a huge factor when it comes to drag. 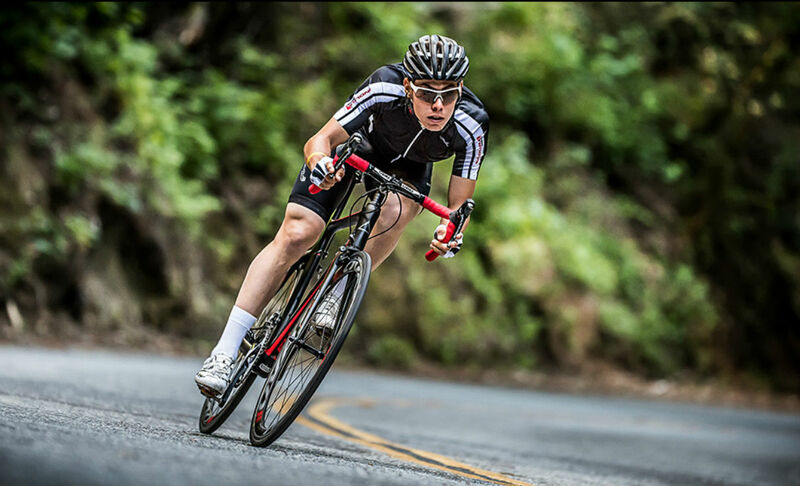 If your body is upright while you are on a downhill, you will ride a lot slower than if you were in a more aggressive position (even if you are just one inch lower by bending your elbows). After you turn left on Opening Hill Rd, most of the course is down hill to the finish. If you aren’t peddling, stay as low as you can, but only to the point where you can still ride safely. This will help you maximize your speed. But not like this guy! He doesn't even have his shoes on! Any time I race, I always make a mental map of the run course in my head. I visualize mile markers or landmarks where I think I can squeeze out a little extra speed and still finish strong at the end. I connect those spots with a thought like “go harder” or “you are fast” or “you are strong” and plan to say them to myself during the race. Prior to the race last year, I planned to say to myself "you are fast" and push the pace by 10-15 seconds per mile as I came out of the turnaround area. When I hit that spot in the actual race, my thoughts were more like 'oh this is tough' rather than 'i can go faster.' Having a planed spot to say "you are fast" helped me redirect my thoughts and helped me commit to the faster speed. Low and behold, I surprised myself and was able to hold that faster pace all the way to the end. You have more speed than you think, you might just have to remind yourself to push harder. Lastly, make sure you have your gear in order. You can always pick up some last minute gu, water bottles, hydration systems, etc. at Zane’s Cycles if you need to before the race. Good luck and have fun! Looking for a coach for your 2017 season? Don’t hesitate to reach out! My e-mail is jafecik@gmail.com. Psychological stress has a huge impact on the body. The researchers in this study found that players were 3.19 times more likely to have an injury restriction during weeks of high academic stress. If you know a stressful week is coming up, or you have an acute stress like a death in the family, the loss of a job, a mental breakdown, etc, be sure to communicate with your coach. A good coach can help prevent injury by adapting the plan and helping you through it. Looking for a coach for your 2017 season? Don't hesitate to reach out! E-mail Jon at jafecik@gmail.com. 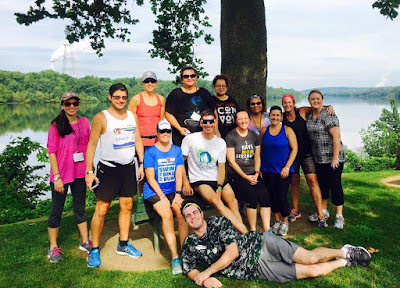 I have had the honor of working at my 5th Diabetes Training Camp (DTC) this August and I absolutely loved it. Working with Type 1 diabetics is extremely fulfilling and watching the DTC philosophy at work in the camp environment is a powerful experience. For those of you who don’t know, Type 1 diabetes is an autoimmune disease where a person’s pancreas stops working. Normally, a properly working pancreas secretes insulin which helps us regulate our blood sugar. Since a diabetic’s pancreas does not work properly, the diabetics must consciously regulate their own blood sugar by injecting insulin at the right times throughout the day. It’s a 24 hour, 7 days a week job and there is no cure (you can’t simply eat or exercise your way out of it). If diabetics do not regulate their blood sugars well, there can be short term consequences (like feeling lethargic or passing out) and long term consequences such as permanent nerve damage, loss of eye sight, and shorter life expectancy. Generally, diabetics get a 20-30 minute consult with their doctor a few times a year. 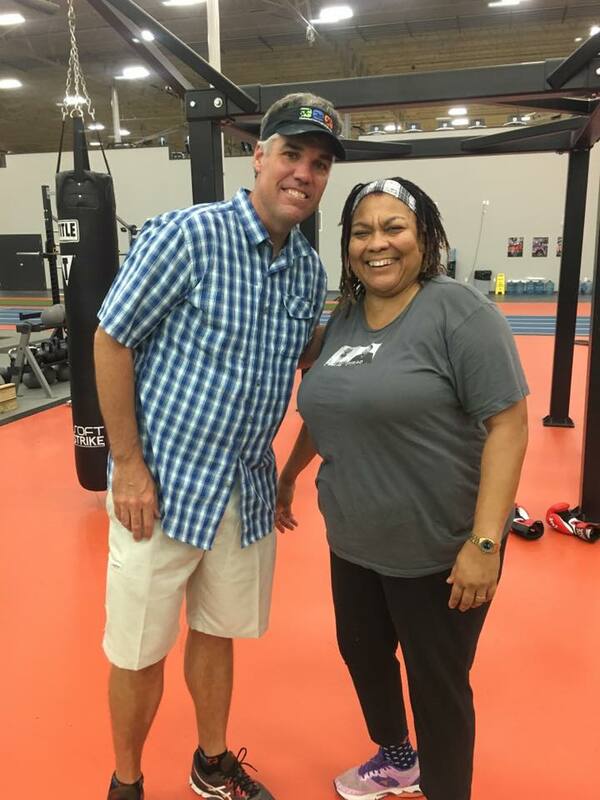 Dr. Matt Corcoran, an MD, CDE, and Exercise Specialist with the American Association of Sports Medicine quickly recognized that this was not enough time to help his patients. In response, he developed a camp to address the needs of diabetics in a fundamental way. This is how DTC was born. At the most basic level, DTC is a week long educational camp that helps diabetics improve their diabetes management through nutrition and exercise. 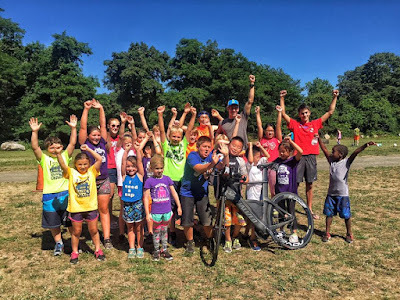 The camp brings together all the necessary team members including a medical team, a mental skills team, a coaching team, and a fitness team to address all aspects of living well with diabetes. The campers listen to lectures given by experts, engage in one-on-ones to develop individualized diabetes and exercise/training plans, have coach directed group discussions, and then go out to the fields (and pools) of Lancaster County PA to apply what they learned. The camp does a fantastic job of addressing everyone’s individual goals, from those who want to be able to walk a mile or swim one length of a pool to those want to run a marathon or complete an ironman. Naturally, my job at DTC is to be part of the coaching staff. 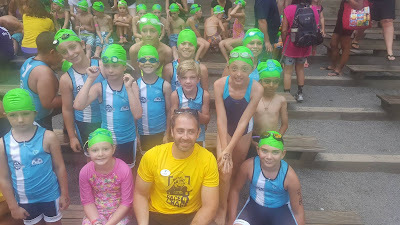 I help out with the swim, bike, and run/walk programs on an as needed bases: working with other coaches to develop the week’s program; discussing swim, bike, run techniques with campers; observing group training sessions; coaching on deck; and providing individuals with good old fashion workouts. I am also around to address individual questions and take part in the coach directed discussion groups. This year, I even helped some campers/staff work on their butterfly kick in the pool (which seconds as a cool dance move and thirds as…well…we won’t go there…). From my perspective, one of the most powerful things about DTC is the low risk environment it creates. At camp, it becomes markedly evident that there is not a “one plan that fits all” formula. There is not one plan that will resolve everyone’s diabetes needs and/or fitness goals. There are 25 different diabetics in the room with 25 different body’s that all respond to stress, insulin, sugar, and training differently. The lectures provide some very general principles and then everyone must go out, test their knowledge, and find out what works for them. Inevitably, a camper calculates incorrectly, or the body responds in a way he or she didn’t expect, or the meter wasn’t reading accurately, and he or she goes super high or low during a workout. The thing is, it’s ok. The campers are not alone in the DTC environment and can test out their new knowledge in a safe way. Not only is there a medical team ready to intervene when necessary, all the other campers can identify with the one who is having a tough time. They can empathize with each other, share their experiences, and build each other back up during the tough times. Needless to say, campers learn from each other just as much as they learn from the experts. I have often wondered why I am so drawn to DTC beyond the fact that I’m a Professional Coach/Triathlete and can fill a coaching role. Although type 1 diabetes runs in my family, I do not have it. It’s taken me a few camps to figure this out, but I think it has to do with how the essence of DTC aligns with my philosophy of living as an athlete. For me, being an athlete is a life approach. It requires a relentless awareness of your own body, mind and environment. It requires an unwavering desire to live and adapt, rest and grow. DTC teaches these principles in a concrete way. It presents campers with good evidence-based information about the body, mind, and environment through a variety of different angles (medicine, psychology, nutrition, fitness). DTC goes beyond this by creating an individualize plan to support each individual’s body, needs, and goals. Then, it creates a low risk environment that allows campers to go out and live, to learn from their experiences, to trust their experiences, to share those experiences with others, to tweak their plan, to keep growing, and to never give up. Campers who leave DTC tend to be very successful with their goals. Countless campers have gone on to achieve extraordinary feats that doctors never thought possible for a diabetic. These feats range from getting off the couch and running a 5k just 8 weeks later, to completing the grueling 140.6 miles of an ironman, to riding a bike for 400 miles over 40 days over 40,000 feet of elevation while raising $40,000 for to DTC foundation after living with diabetes for 40 years (GO RIDE 40!). This is because DTC not only sets campers up to successfully manage their diabetes, it teaches people how to address their limitations and be successful in life. 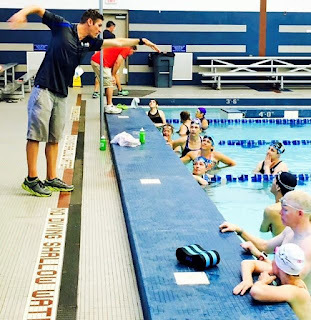 The camp essentially parallels a high performance environment, the same environment that great coaches like Brett Sutton, Joel Filliol, Greg Mueller, Cliff English, Marilyn Chychota, and Paulo Sousa (among countless others) create for their high performing triathletes. I would be lying if I said I do not try to create this same type of experience for the athletes I coach individually. Despite the fact that many Power On athletes live far away, I attempt to disperse evidence-based information through my closed Power On Coaching Facebook Page. 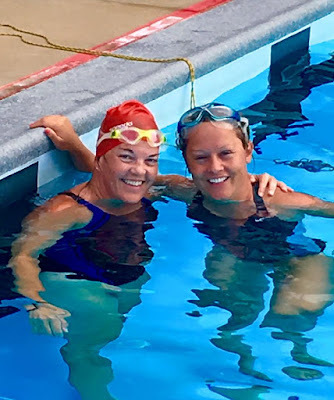 I connect athletes within my coaching group and with nearby clubs such as the YMCA-C3 Triathlon Club, Pittsburgh Triathlon Club, and Masters Swimming so they can train with other athletes and learn from other’s experiences. I develop individualized training plans to help guide each athlete. I help each athlete reflect on their experiences via data analysis, goal sheets, post-race reviews, and end of the season reflections so they can learn to tweak their plan and find a way to be more successful in the future. I also take part in these things myself to develop my own professional career because I want to be a better coach and pro triathlete. To sum it up, the types of things that campers learn and work on at DTC are the same things that top performers are doing all over the world. The only difference is that campers at DTC all have a specific set of limitations which the camp sets out to address. If you have type 1 diabetes, you must go to DTC. Regardless of where you are at in your journey of living with the disease, and regardless of your current fitness level, your experience will be life changing. I’ve seen countless cases of “oh, I didn’t know I could do that” or “wow, I’ve had diabetes for 30 years and I’ve never had so much control over my blood sugar until this week.” Not only that, you will inspire other diabetics by sharing your story. If you do not have diabetes, you can still embody the idea of living as an athlete. No matter where you are starting from, find a good group of training partners and/or a good coach to help you achieve your goals. I could not thank DTC enough for having me back again and again. With each camp, I become a better coach, a better athlete, and a better person. Thank you DTC! The August 2016 DTC Crew! One of the top triathlon coaches in the world, Paulo Sousa, is always saying that in training you must "chop wood, carry water." In other words, everyone has to put in the work in order to succeed. It can be hard, boring, and seem never ending sometimes, but it's necessary if you want to achieve your goals. Keep at it. My Talk with Race4Chase Youth Triathlon Programs! 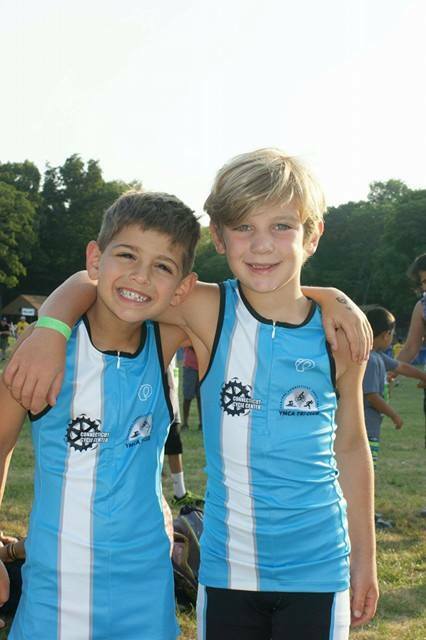 The Race4Chase Kid’s Triathlon program is a youth triathlon program aimed to provide kids aged 6 to 12 with a safe, healthy non-competitive environment to discover the sport of triathlon. It brings together kids from all different backgrounds and educates them on how to adopt a healthy lifestyle, coaches them to develop a foundation of athletic skills, and inspires them to aim high in sports and in life. Designed as a six week goal oriented summer program, the program provides kids with expert instruction in swimming, cycling, running, strength training and flexibility, and also teaches them the fundamentals of good nutrition, under the supportive guidance of coaches, lifeguards and instructors. 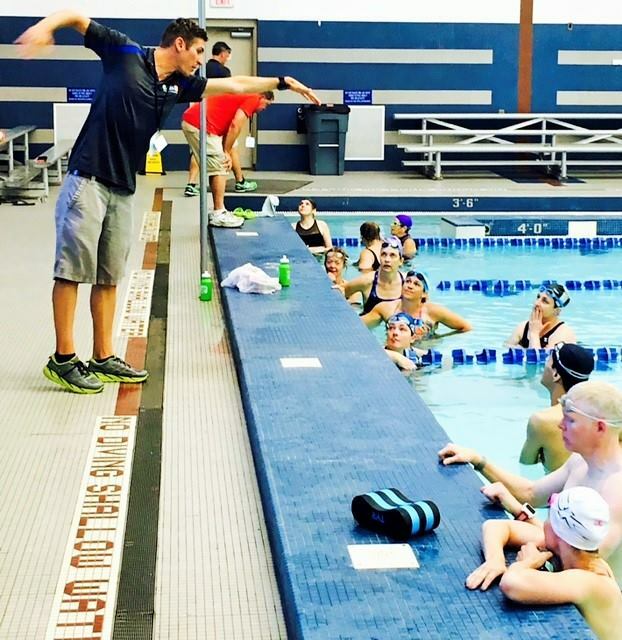 Implementing a custom-designed training program, the coaches provide the youth athletes with all the equipment, knowledge, and one-on-one support they need to become tri-athletes. 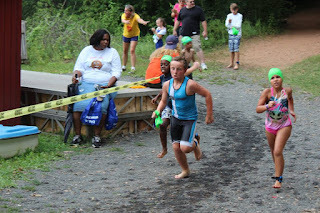 At the culmination of the training camp, all the youth athletes come together to compete in a USAT-sanctioned triathlon race. In addition, this year the kids got a free entry to camp and a free bike if they needed one. Here is a video on the CMAK foundation which supports the Race4Chase Triathlon Program. One thing I really love about the camp is that it exposes kids to triathlon at an early age which is so important to the growth of our sport. If kids know about triathlon, learn how to train, and enjoy their experience, they will want to continue to do it. This will only help the future of triathlon! For my part, I sat them down and talked about the typical day of a professional triathlete including how much I sleep (9-12 hours a day), how much I eat (lots), what I eat (healthy food like pasta, fruits, and vegetables), and my daily workout routine (swim, bike, run, strength, rest). At the end of my talk, I really emphasized the importance of consistency. If there is one thing I know about triathlon, it’s that the more you train and race, the better you get. 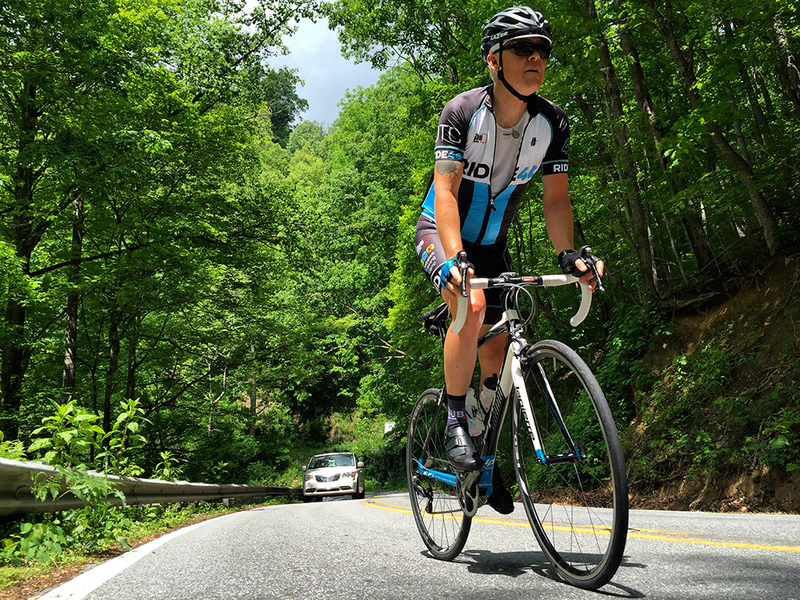 There are going to be tough races and training days where you just don’t want to swim, bike, or run, but if you keep showing up, you will be rewarded for your hard work. To finish up, I ran them through my typical warm-up and drills. We concluded with some fun relays which really fired up the kids. The best relay was when they had to run backwards. It was hard enough for them just to keep going, let alone race each other while doing so! The kids absolutely loved it and I can’t wait to help out again next year! Thanks to the Soundview YMCA and Valley Shore YMCA for having me be a part of this great program! For more information on Race4Chase and how you might contribute to the CMAK foundation, check out http://www.cmakfoundation.org/.